Do these seem a little harsh? If we look back at the Creation account and the Garden of Eden, we will actually find a somewhat parallel event. Adam and Eve were given all of the food from the entire garden but a single item. It was left off the menu. They were forbidden to eat from the Tree of the Knowledge of Good and Evil. When they ate of this forbidden delicacy the result was that they were cut off. How difficult of a commandment is it to not eat from a single tree out of thousands? Yet, this is the struggle of humanity. We spurn what we have been given and long for what is beyond our grasp. In our day and age we tend to think that God is not concerned with these minute details (rituals and observances) but that He only cares about overarching principles (moral issues). But if God is not concerned with even the smallest details, is He really THE God that holds the universe together? A God who is not concerned with the most intimate details is a god who is disconnected from his creation. Many people think in these terms because of the way they view the Apostolic Scriptures (the “New Testament”). They believe that when Yeshua came, he came to replace the legalistic religion of Judaism with a new grace-centered one. Therefore, according to this opinion, grace and truth has superseded ritual and observance. We have to remember, though, that the Apostolic Scriptures were not written in a vacuum. Contrary to what many well-intending pastors claim, the teachings of the New Testament were not cut from whole cloth. The teachings of Yeshua and the Apostles were mined from the Hebrew Scriptures and forged from their very essence. Yeshua wasn’t a demigod of Greek mythology. He didn’t have to spend his life repairing the mistakes of an immortal (but fallible) father like many would believe. He carried on the work of his Father by upholding the Torah, teaching its proper application, and living it out as an example for his disciples. You may ask, “What about all of the harsh things in the Hebrew Scriptures (the ‘Old Testament’)? Why don’t we see that in the New Testament?” Even within the Apostolic Scriptures we have the example of the severity of God being poured out on Ananias & Sapphira when they simply stretched the truth a little to Peter (see Acts 5), Herod getting struck down by the LORD and getting eaten by worms (Acts 12), etc. From this we learn that God doesn’t change. Isn’t God’s only concern morality and not ritual? His concern is definitely morality. But the problem is, who defines morality? Since morality is a set of values that determine what is right and what is wrong, we have to broaden our understanding of what this is. It is not simply what we would classify as ethical behavior (which changes according to our environment). From a biblical perspective, everything in life falls into the category of a moral code. We can chose to do things the way God tells us or not. God’s instructions define morality. We can act morally or immorally. What about the cases above regarding food? 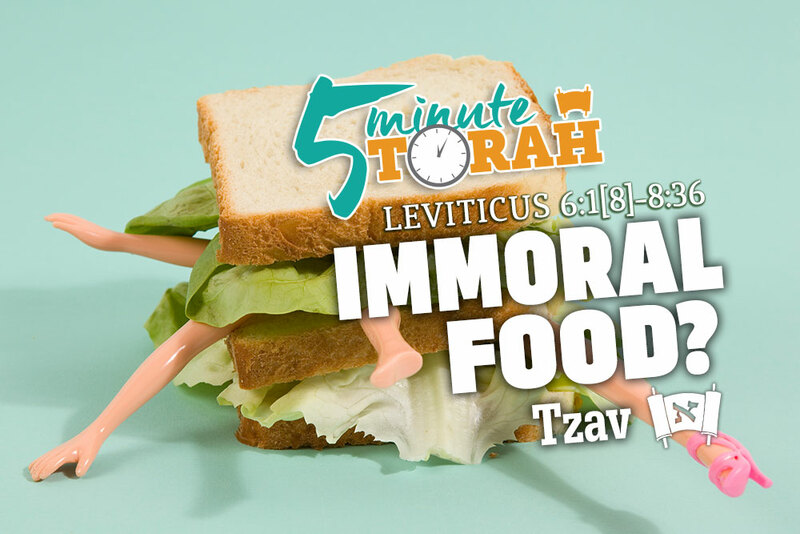 Can food be immoral? It definitely can if God said not to eat it. Therefore, our morality should be subject to His and not the other way around.